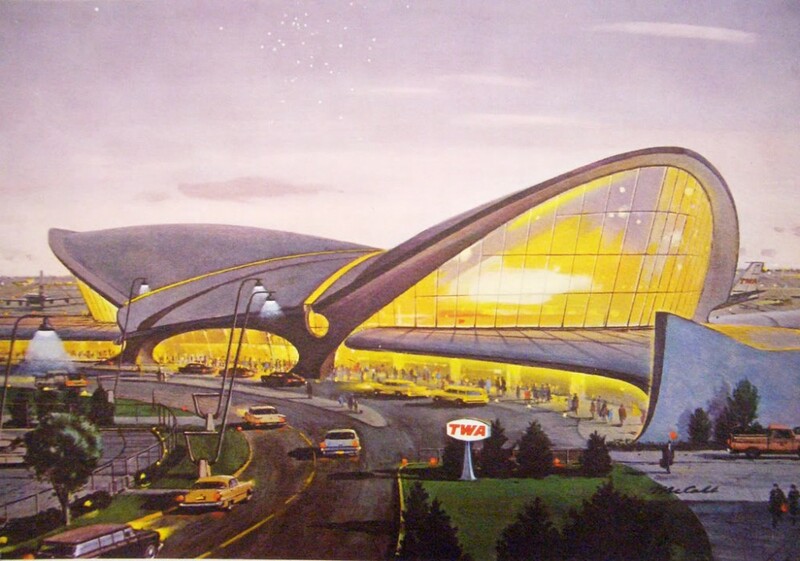 The JFK Trans World Airlines (TWA) terminal was designed by the great Finnish architect Eero Saarinen. Built in a very modernist and expressionistic style it was completed in 1962 and set the standard for how modern jet travel was perceived back in its glory days. You might have seen the building in a handful of movies, everything from Hell up in Harlem, Death Wish to Catch Me If You Can. In 2005 JetBlue took over the operations of the old flight center after TWA merged with American Airlines in 2001 and sat empty for a couple of years, holding various exhibitions and art installations. The terminal is still in use today, but only as a gateway to the newly built terminal T5 that connects to it with ramps. The original building was sadly under dimensioned from the start and never had the capacity needed for today’s air travel requirements. However, at least you can still get a glimpse of the 1960s vision of jet age travel before boarding your low fare flight to The Caribbean.